Northern Saw-whet owl | Flickr - Photo Sharing! Juvenile Northern Saw-whet owl in the wild. jmanj, Amazon71, a_secondary_highway, and 52 other people added this photo to their favorites. Hi, I'm an admin for a group called "World Nature&Wildlife HALL OF FAME"(INVITED PHOTO'S), and we'd love to have this added to the group! This is an outstanding "Avian Photography" . Please consider submitting this to the "Avian Photography"Group. Oh this is fantastic! Brilliant capture! Wow, this is an outstanding Avian Photograph! Thank you for sharing your experience with us here in the "Avian Photography" Group. This photo is so wonderful. You deserve another award! Hi, I'm an admin for a group called Raptor's Of North America, and we'd love to have this added to the group! 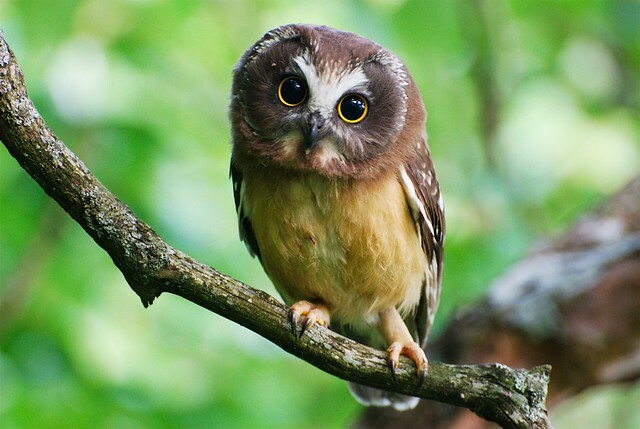 saw whet owls are so absolutely adorable ><! I work at the Montshire Museum of Science in Norwich, Vermont. We are creating an exhibit on local bird ecology and would like to use this photograph in our exhibit. Please respond if you are interested in giving us permission to use this image. Hello my name is Maurice Bissonnette.It seems a lot of people love this picture.I work with the Middlebury area land trust summer camp and we where looking for a picture of a Saw-whet for our summer camp posters.